Reno, Nevada, has been part of American history for generations as part of the "Wild West" and matrimonial mayhem popular cultures. Maven has been very lucky to have a friend, Evan, who lives near Reno and has kept Maven informed of the goodies out there like the Bottle House where he grew up and "Scotty's Castle." Reno's history began when Charles William Fuller arrived in the Truckee Meadows in 1859 and occupied a piece of land on the south bank of the Truckee River. By early 1860, he had constructed a bridge and small hotel, and the place was known as Fuller's Crossing. In the following year, Fuller sold his bridge and hotel to Myron C. Lake, who renamed the spot Lake's Crossing and soon was charging a toll on the bridge. The Crossing became an important station on one of the main routes between northern California and the silver mines of Virginia City and the Comstock Lode. Lake was the crossing's only property owner until the Central Pacific Railroad (later renamed Union Railroad) crossed the Sierra Nevada in 1868 and pushed its tracks into the Truckee Meadows. Under terms of an agreement between Myron Lake and Central Pacific, a new town was laid out at the crossing; ownership was divided between Lake and the railroad. Almost overnight, buildings began to appear on the town site and the new settlement was named Reno in honor of General Jesse Lee Reno (1823–1862), a Union army officer who was killed during the Civil War. In 1871, the Nevada State Legislature moved the Washoe County seat to Reno, where one year later the Virginia & Truckee Railroad extended its line. The town soon became an important commercial center on the transcontinental railroad and a transfer point for the immense wealth coming out of the Comstock Lode. The University of Nevada was moved from Elko to Reno in 1885. 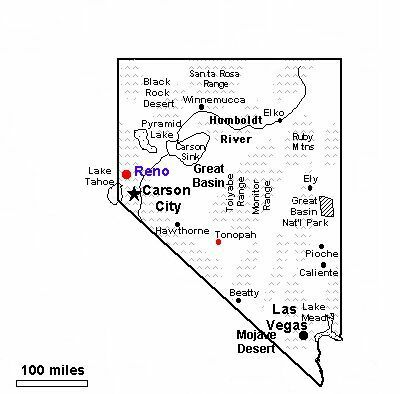 At the beginning of the twentieth century, Reno gained national notoriety after a number of famous people obtained divorces in the city under Nevada's lenient laws. Newspapers sensationalized the incidents, dubbing Reno the "divorce capital." 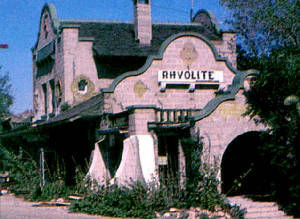 Reno's sister city, Sparks, was established in 1904 as a division point on the Southern Pacific Railroad. After the legalization of casino gambling by the state legislature in 1931, Reno filled with gambling establishments–marking the start of a tourist industry that flourishes today. In the shadow of the casinos, Reno has quietly grown into an important transportation hub for the western United States and has developed a diverse economic base. The city leaders have recognized this and responded by creating aggressive expansion plans including a railroad system that will eventually bolster travel in the area along with the boom the construction brings. Modern Reno boasts a thriving cultural scene, a refurbished downtown area, and an expanding tourist industry fueled not by the casinos, but by the many year-round resorts in the nearby mountains. The area's mix of recreational opportunities—from outdoor activities to gambling to plush accommodations—coupled with a warm climate that features more than 300 sunny days every year has been the backbone to the success of the city. The effects are evident in its population and business growth, and many have taken notice such as the authors of "Cities Ranked & Rated" that listed Reno in 2004 among the top 10 best places to live. With 30 Fortune 500 companies in the region that magazine also named Reno as one of three "top booming towns" in March 2004.